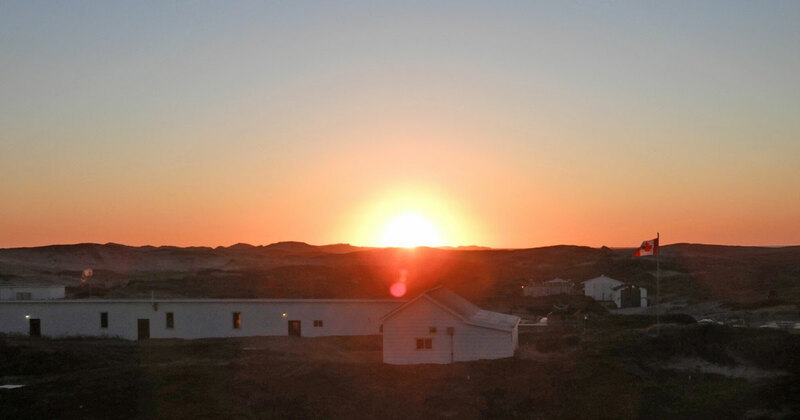 Image above: The sun rising over the Sable Island Station at about 7:05 am ADT, March 21st, 2019. This year the spring equinox (also called the vernal equinox) occurred during early evening (at 6:58 pm ADT) on March 20th. The first full day of spring for 2019, March 21st, dawned clear and cool on Sable Island. As the sun was rising in the east, the full moon—a supermoon, particularly close to Earth—was still visible. 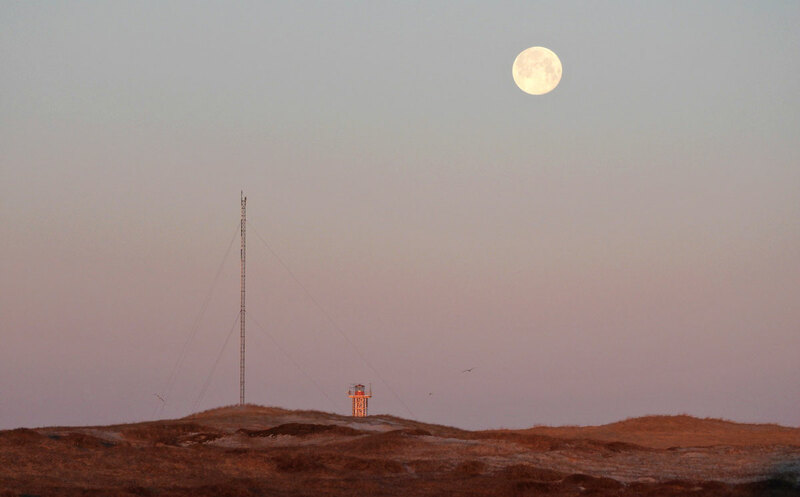 The guyed anemometer tower is just southwest of the Meteorological Service’s operations building at the Sable Island Station. The upper half of the West Light tower is visible in the distance. 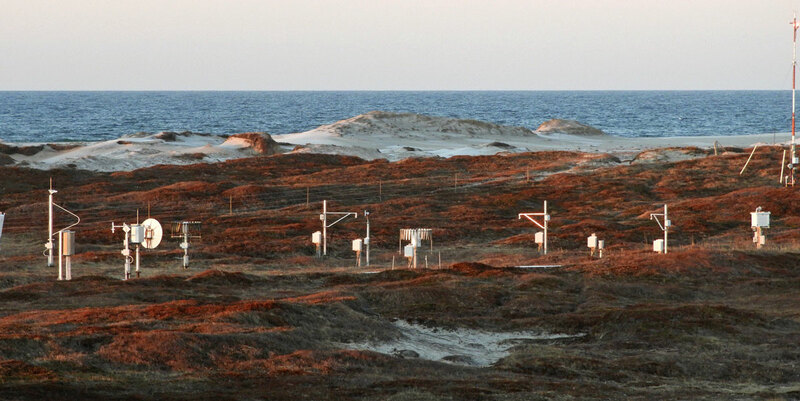 Gleaming in the shine of the first spring sunrise of 2019 are various weather sensors in the instrumentation field, also southwest of the operations building, with the south beach beyond. 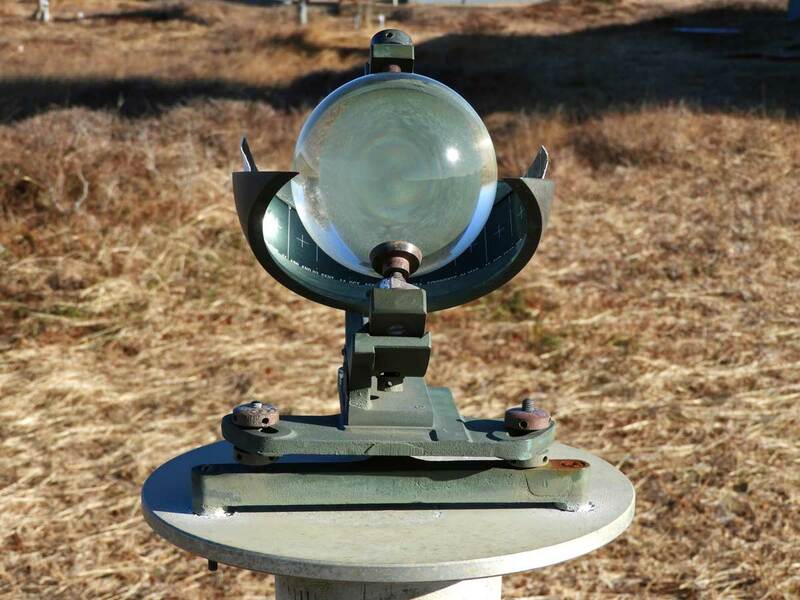 The Campbell-Stokes Sunshine Recorder catching the first rays of spring sunlight. 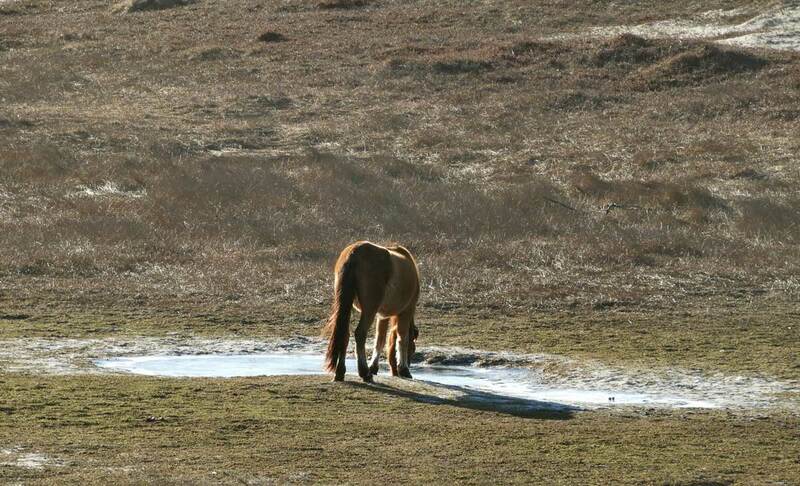 A Sable Island horse drinking at a waterhole. There’s a thin layer of ice on the pool. The overnight temperature had dropped to -0.3°C, but rose to 1.7°C by 9:00 am on the 21st. 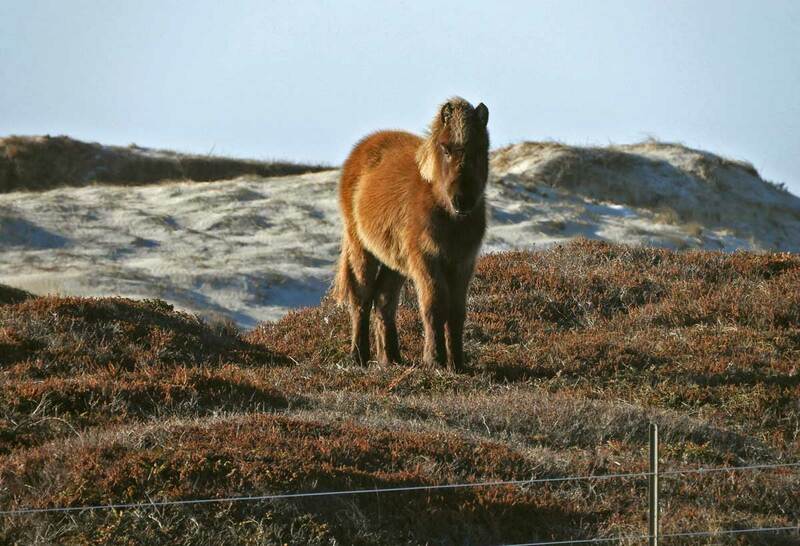 A young Sable Island horse standing just beyond the fence surrounding the station, enjoying the warmth of the early morning sunshine.